We were visiting Charlotte, NC for the day and craving Vietnamese food. After doing some research online, we decided to go to Vietnam Grille but they were closed for vacation for July 4th week so then we decided to go to Ben Thanh. When we got to Ben Thanh, we discovered that the place was closed for vacation too! What the heck? Did they go on vacation together? 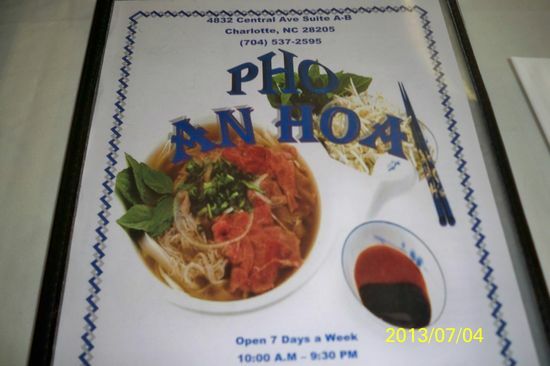 So then, we decided to go to the Vietnamese restaurant near Ben Thanh called Pho An Hoa and we were not disappointed! The pho and mi trieu chau were good and service was also excellent. We will be back. See my mi trieu chau bowl below.